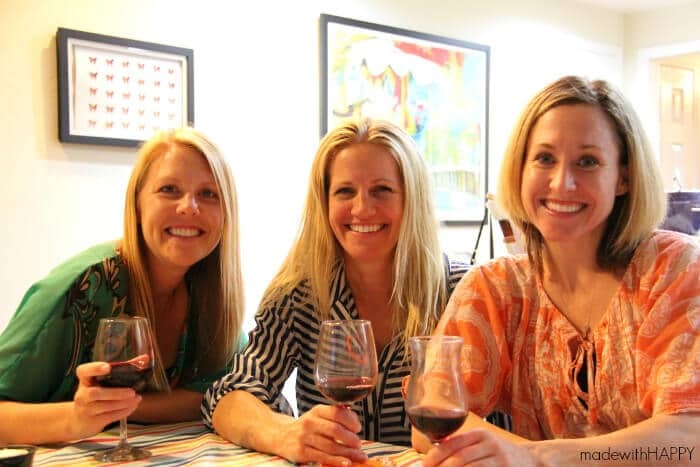 We are so excited to be kicking off this month’s Happy Girls Wine Club with a fun and delicious wines from Middle Sister Wines. 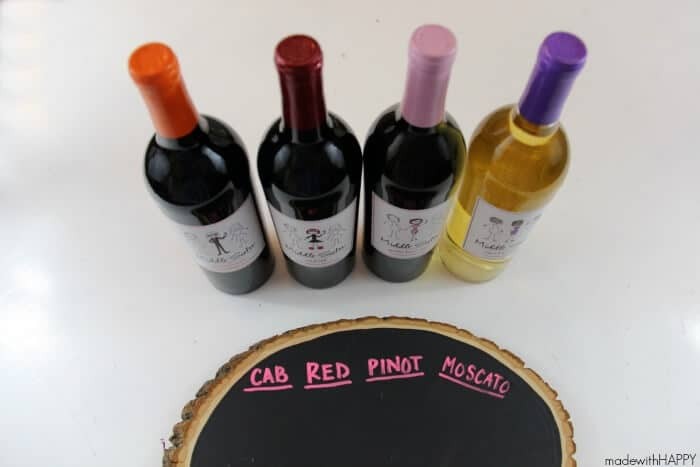 Not only do the wines all have inspirations quotes along side a cute and quirky characters, they all have bright colorful tops which of course makes me oh so HAPPY. The girls and I enjoyed trying the different varieties of Middle Sister’s Wine along with their fun and HAPPY Names. 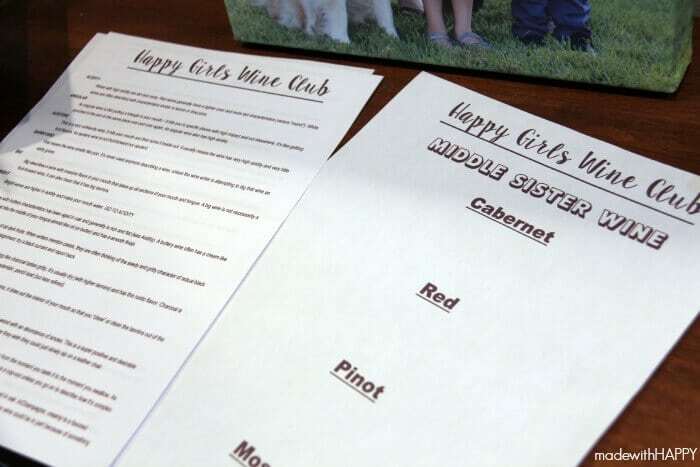 I printed out a list of wine descriptor words along with some handouts allowing the girls to share the words they thought would describe each of the wines they tasted. We landed on words like complex and bright and supple. Ended up being a great guide for the ladies as we sipped and talked others could be reviewing the list and pull descriptors. AWESOME! After nibbling on appetizers, laughing and talking though the night, we all ranked our favorites. I’m HAPPY to report that there wasn’t a bad one in the bunch. We all felt that each could be great for taking to our next dinner party or favorite family meal. 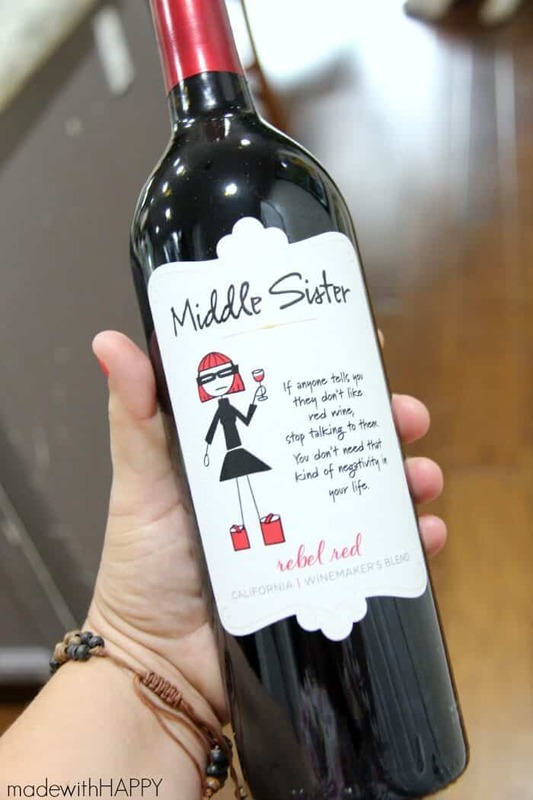 We all loved the brand inspiration behind the name Middle Sister and couldn’t agree more that all the middle sisters we knew definitely had their own personality. The Mischief Maker Cabernet Sauvignon came out the winner from this group although the other reds were a close second. Next time you’re out, definitely give Middle Sister Wine a try and let us know what you think. Cheers and look for The Happy Girls Wine Club next month as we try out another brand or variety.